Play at Galgorm Castle, the Home of the European Tour Group’s Northern Ireland Open and one of Ireland’s finest Championship parklands. Awarded the Irish Golf Tour Operator Association’s ‘Parkland Course of the Year’ in 2014, the par-72 layout is consistently ranked among the Top-3 Parklands in Northern Ireland, whilst drawing widespread praise from European Tour players and officials annually during the Northern Ireland Open. Galgorm is the perfect venue for the ultimate golfing experience, combining two unique locations to create a truly bespoke luxury golfing getaway. 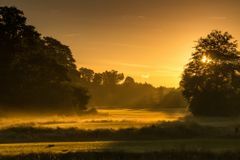 The course is nestled in the heart of the 220-acre historic Galgorm Castle Estate, providing a mature setting that promotes an easy, relaxing rhythm that makes playing golf so pleasurable. A variety of teeing areas provide an exciting and enjoyable challenge for golfers of all abilities and its central location means the course is a must-visit for any golfers planning a trip to Northern Ireland. The course demands control of every facet of the game, and is a fantastic addition to the Northern Irish golfing landscape, so why not include it in your next golf break in Ireland? Stay at Galgorm Resort & Spa, set in 163 acres of lush parkland close to both Belfast airports and the North Coast. You have a choice of luxury guestrooms and cabins, 3 onsite restaurants, an Irish pub with live entertainment 7 nights a week and a Gin library with over 400 varieties. Access to the Thermal Spa Village is included in your rate allowing you access to one of Europe’s largest Thermal Spas facilities. Lovely parkland setting, bit showery on the day, lots of water, trees and bunkers make it a hard course but great fun.